As a new mom I’ve learned how much pressure new moms feel to breastfeed. As a dietitian breastfeeding was something I always wanted to do since I know how great it is for mom and baby. However, it does not always go as smoothly as everyone hopes. Luckily, Hannah is a good eater and we haven’t had any issues thus far. Even though there are so many benefits of breastfeeding it does not mean that formula is bad! You have to make the right choice for your own lifestyle, comfort level and medical situation. Some women just don’t produce enough milk. Some babies are not able to latch on properly. Some women are not around their babies enough to do so and pumping may not be realistic. Whatever your reason is, it’s important not to feel guilty if you are not able to breastfeed. Since I have returned to work part-time I pump enough milk to provide Hannah with breast milk even when I’m not home. I also give her bottles when we’re out in public which makes me more comfortable. Again you have to do what is right for YOU! This has been working really well for us and I hope to continue doing this till she is at least 6 months and I’ll evaluate at that point whether I want to continue or not. Coming up in my next post: The breastfeeding diet! 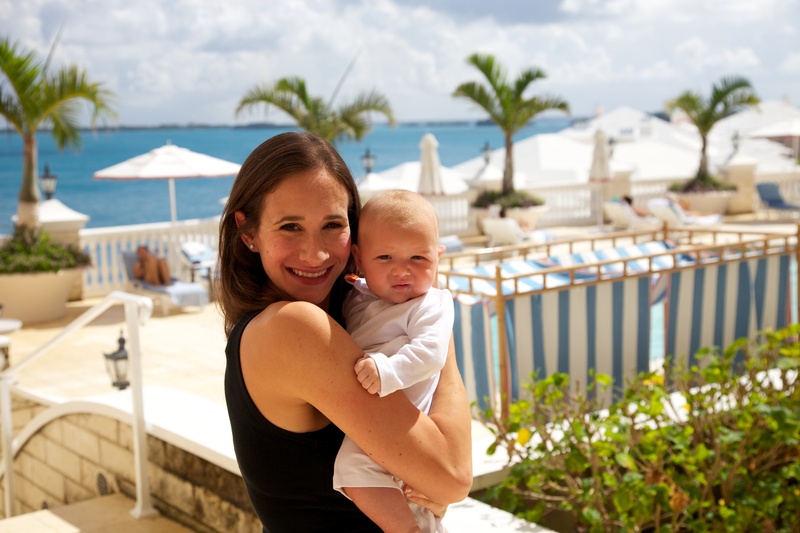 I’ll leave you with a couple photos from our recent trip to Bermuda.